Going camping with your dog is a good idea, especially with the right amount of preparation. 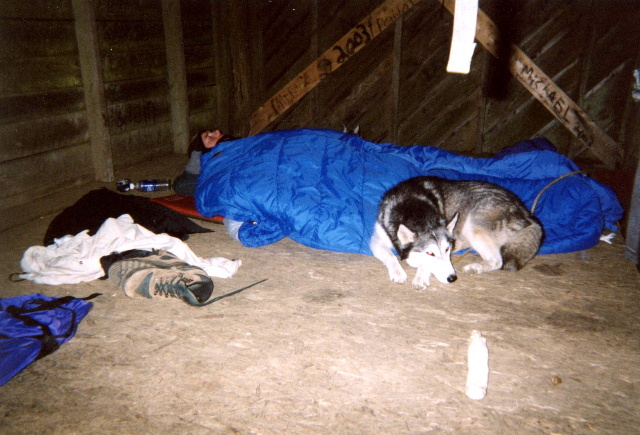 Camping with your dog can greatly improve the bond between you and your pet. When you camp with your dog, the attention you pay to its traits are heightened, and you will start seeing traits that you’ve never noticed before. Your dog will also benefit from a camping experience. It is your pet’s chance to get outside, roam around, and be exposed to its natural habitat: the outdoors. When you are about to take your dog camping, there are some things that you need to do to prepare for the experience. Your decisions can be greatly affected by your dog’s behaviors. You can’t just take your dog to an area where aggression or fear can be triggered. That is no way to go camping with your dog. You should go camping where your dog will be comfortable. In case there are situations that you cannot control, just make sure that you know your dog enough to be able to comfort it. But if you have to be ready for your dog’s behavior, your dog’s behavior should also be taken into account to determine whether your dog is ready or able to go camping with you. Does your dog obey you? Does it listen to your commands? If you think that your dog won’t be easy to deal with outdoors, taking him to go camping can be pretty dangerous. And even more so, especially with the vareity of diseases it can pick up just about anywhere in the wild. But this does not mean that you can’t take your dog camping. You still can, as long as you visit your veterinarian before going and make sure that your dog receives all the necessary vaccinations to keep him protected from diseases. Some dogs may not be too keen on camping because it takes them away from their immediate environment, and takes them someplace foreign. To some dogs, this is enjoyable, and they will start roaming and running around soon. Some dogs, however, may take some time to adjust. Negative reactions to a change in environment can be expected in some dogs, especially those that are kept inside at all times. To take your dog camping, you have to start with training it to be comfortable outdoors. You can do this by taking it on short trips first, so that your dog will be exposed to different environments and will warm up to the idea of leaving the house. When your dog gets used to it, you can start taking him on longer trips, and full-blown camping trips. You can also practice camping at home by setting up a small tent and training your dog to stay inside or sleep inside it. Here are some things that might come in handy during your camping trip. Don’t forget to bring a lot of food not only for you, but also for your dog. It is also important that you bring along a first aid kit, which includes ointments or medications for your dog. Also, don’t forget to bring a leash to keep your dog from straying too far and getting lost. Just in case it gets lost, a dog tag or a microchip will definitely help bring it back to you. With the right preparations, you and your dog will definitely have a great time on your camping trip.